The agreement establishes both the standing and mode of interaction between the Catholic Church and the PA (and by extension, Israel), and describes the church’s interests in the Holy Land. In exchange for the Vatican’s formal recognition, the PA agreed to provide a broad gamut of religious benefits, not only for security for the local Catholic population to pursue its religious interests but also for protection of key holy sites, property, and financial interests. 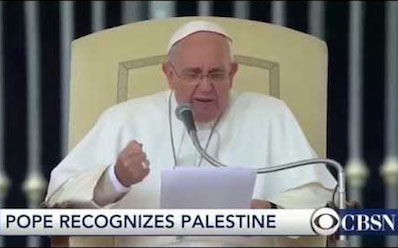 With the 2015 Comprehensive Agreement between the Holy See and the Palestinian Authority, the Pope Francis Vatican formally acknowledged the “state of Palestine.” The agreement secured protections for the local Catholic population, holy sites, property, and financial interests. Prior to the creation of the State of Israel in May 1948, the Holy See refrained from taking sides in the Arab-Jewish conflict, preferring to adhere to its foundational principle of “remaining [a] stranger to all merely temporal conflicts” as provided in the 1929 Lateran treaty. Thus, when the United Nations General Assembly convened on November 29, 1947, to vote on Resolution 181, partitioning Palestine into Jewish and Arab states, the Holy See (as a “permanent observer” at the United Nations) did not participate. Of course, the Vatican did not remain aloof to developments in the Holy Land and their possible effects on the future of the Christian holy sites there. When, in the summer of 1937, a British royal commission proposed internationalizing the cities of Jerusalem and Bethlehem as a means of “ensuring free and safe access to them for all the world,” the Holy See registered its desire to protect Jerusalem’s holy sites (while also seeking an additional international enclave near the Sea of Galilee), underscoring its enthusiastic support for territorial internationalization—what eventually became known as the corpus separatum. Likewise, despite abstaining during the vote on Resolution 181, the Vatican endorsed its recommended internationalization of Jerusalem; and while this corpus separatum was never implemented due to the ongoing Arab-Israeli conflict and political infighting between interested states, the Holy See remained committed to the idea as the foremost means to safeguarding Christianity’s holy sites. Thus, for example, in October 1948, the Holy See published an encyclical, In Multiplicibus curis, proposing to “Give Jerusalem and its outskirts … an international character which, in the present circumstances, seems to offer a better guarantee for the protection of the sanctuaries.” On Easter 1949, amidst ceasefire negotiations between Israel and its Arab invaders, the pope published another encyclical, Redemptoris Nostri Cruciatus, “the passion of our Redeemer,” focusing on the torments of the Holy Land, and stating that “Jerusalem and its vicinity … should be accorded and legally guaranteed an ‘international status,'” thereby further entrenching the Holy See’s support for corpus separatum. Israeli scholars sometimes argue that the Catholic Church’s policy toward Israel “was fundamentally hostile,” but doing so ignores or downplays the deep transformation in the Holy See’s attitude that took place toward the Jewish people in the course of the twentieth century. Vatican II fundamentally changed the Holy See’s policies toward the Jews and ultimately its policies toward the (Christian and non-Christian) population of the Holy Land. The Nostra Aetate (In Our Times) was one of the Second Vatican Council’s (October 28, 1965) final declarations dealing with the relation of the church to non-Christian religions. Regarding the Jews, the document offered new teaching whereby “the Jews should not be presented as rejected or accursed by God.” Most significantly, it freed the Jews from the charge of deicide because “what happened [to Christ] in His passion cannot be charged against all the Jews, without distinction, then alive, nor against the Jews of today.” The Nostra Aetate served as an important declaration that opened up the possibility for eventual relations with the Jewish state, particularly in recognizing the Jewish people’s right to exist and the role of the Vatican in upholding religious freedom. The Six-Day War of June 1967, in which Israel captured Jerusalem and the West Bank, marked the next significant milestone for the Holy See. 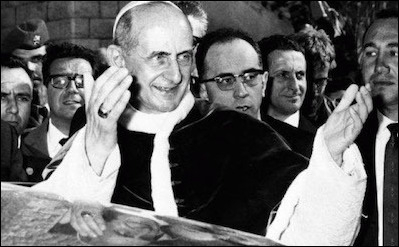 During the war, Pope Paul VI pressured Israel to declare Jerusalem an open city under international control, but Israel had already celebrated what it termed the city’s reunification. However, Israel immediately provided legal protection for free worship and access to sanctuaries, promised to safeguard the holy sites, and offered to establish official diplomatic relations with the Holy See. The Vatican, however, while effectively discarding its demand for the territorial internationalization of the holy sites and instead focusing on ensuring their internationally guaranteed statute, stuck to its old principle that a formal agreement would not be tenable in the absence of peace between Israel and its Arab neighbors. It was only after the September 1993 signing of the Declaration of Principles (DOP) by Israel and the Palestine Liberation Organization (PLO) that the Holy See moved ahead and entered into agreements first with Israel and Jordan, and then with the Palestinians. The Holy See and Israel signed the Fundamental Agreement in 1993 during John Paul II’s papacy. The agreement provided for each side to uphold basic human rights, such as freedom of religion, and to combat discrimination and anti- Semitism. The shift by the Holy See toward Israel was manifested in 1993 when the two sides concluded the Fundamental Agreement. Israel approached the matter from a primarily political perspective, although keenly aware of its broader historic significance for Jewish-Catholic relations. 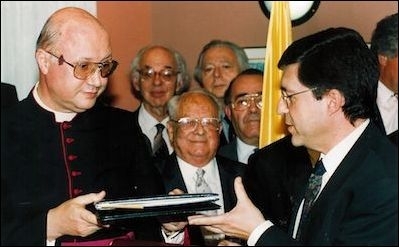 The Holy See adhered to its goals of strengthening its position among local Catholics, protecting its property interests and holy sites in Israel, and ensuring that key rights connected to its religious missives were protected and upheld. The Fundamental Agreement provided for each side to uphold basic human rights, such as freedom of religion, and to combat discrimination and anti-Semitism. Along with the 1997 Legal Personality Agreement, the Holy See maintained oversight over land sales, and the two sides agreed to abide by the status quo as it then stood under Israeli law. The agreement further noted the church’s educational and charitable functions, foresaw a financial agreement concerning its property and tax status (something that has not yet materialized despite prolonged negotiations between the two sides), and provided general language regarding the jurisdictional capacities of each side. Article 11 also reflected the 1929 Lateran treaty calling on the Holy See to remain outside of temporal conflicts, using additional language stating that the principle “applies specifically to disputed territories and unsettled borders,” thereby clearly referencing areas under Israeli control post-1967 (including east Jerusalem). John Paul II visited Israel in 2000 (shortly before the outbreak of the “al-Aqsa Intifada”) for a carefully crafted formal state visit, including viewing religious shrines and meeting with politicians such as Israel’s prime minister Ehud Barak and president Ezer Weitzman as well as meeting Palestinian Authority president Yasser Arafat in Bethlehem. John Paul II, and later Pope Benedict XVI, also visited Yad Vashem as well as the Dheisheh refugee camp. Unlike their predecessor in 1964, who was careful not to utter the name of the still unrecognized State of Israel, John Paul II engaged directly with the need to promote dialogue between the three Abrahamic religions. In response to the 1993 Fundamental Agreement and the 1997 Legal Personality Agreement between the Holy See and Israel, the PLO initially concluded a general Basic Agreement with the Holy See in 2000. 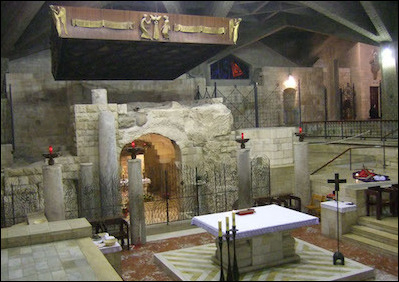 The perceived need by the Holy See to protect important holy places (be they in Israel or areas under PA control) and the desire to safeguard Christians as a whole served as the key impetus for engaging the PA. Viewing the PLO-dominated PA as a precursor to a nascent state, the Holy See wanted to ensure it had relations with this entity. Broader issues also led to the Basic Agreement, given the importance of proper treatment of Christians in the PA (and beyond, in the wider Arab world); decreasing Christian population in these territories; sale and control of church land; the potential decrease of the Holy See’s influence over local authorities; and emerging cultural gaps between mainly European church leaders and their local believers. The preamble to the short 2000 agreement with the PLO referred to the inalienable right of the Palestinian people to achieve self-determination under international law, emphasized the need for a just peace, and called on all sides to avoid unilateral actions that alter the status of Jerusalem (along with a veiled reference to the city’s internationalization). But the actual articles of the agreement with the PA focused on religious rights and freedoms, the international human right to freedom of conscience and religion, discrimination and equality, the entrenchment of the status quo sites, and general protections for the church and its believers to carry out their traditions and practices, along with financial and legal functions. These were stated in a broad fashion. Pope Francis (right) and PA president Mahmoud Abbas at the Vatican, May 2015. 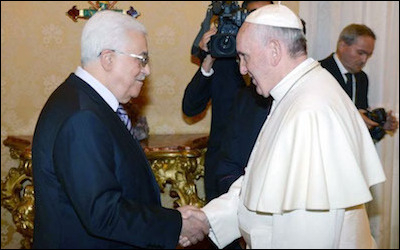 The Comprehensive Agreement between the Palestinian Authority and the Vatican was a major political boon for the PA. The agreement included criticism of Israel’s actions in Jerusalem and the West Bank. The 2015 Comprehensive Agreement signed with the Palestinian Authority was a major political boon for the PA. In return for reiterating support for the two-state solution—the authority’s internationally-voiced position since the onset of the Oslo process (as opposed to the denigration of the option to its Palestinian subjects)—the PA obtained not only the Holy See’s recognition of the “State of Palestine” but also its criticism of Israel’s actions in Jerusalem and the West Bank more generally. The language in the Holy See-Israel 1993 agreement used the term “disputed territories and unsettled borders” to describe the areas under Israeli control (terms generally used by Israel’s foreign ministry when discussing the post-1967 situation). By contrast, the 2015 agreement calls for an “equitable solution for the issue of Jerusalem, based on international resolutions,” stating that “unilateral decisions and actions altering the specific character and status of Jerusalem are morally and legally unacceptable,” mirroring the language of the 2000 Basic Agreement between the Holy See and the PLO. Significantly enough, the agreement was publicly released—in sharp contrast to the Holy See’s general abstention from releasing its agreements with Arab states. This could be because of the Vatican’s desire to ensure proper protection for key holy sites and Catholic laity during a difficult time, or because of its wish to prod Israel into further engagement given the years-long stalemate in the peace process. The 2015 agreement is long and comprehensive; availing its text to the public can serve as a potential impetus (and possible blueprint) for Holy See-Israeli negotiations. Article 24 is also coupled with the Holy See’s desire to secure the church’s material position to pursue its spiritual mission. Its international relations are not solely pragmatic but a form of theology combined with fundamental human rights norms, a focus on developmental concerns, a striving for neutrality, with an overlay of monarchial maneuvers. The shift in the Holy See’s policy bends the framework devised by the Lateran pact in terms of involving the Holy See in local conflicts as evidenced, among other things, by its recognition of Palestine as a state and including language in all three agreements that affects in different ways the status of the post-1967 territories. Some of the open-ended issues that remain after the 2015 agreement with the Palestinians are just as important as the agreement itself. Unmentioned in the agreement is the matter of conversion from Islam to Christianity, an act punishable by death by Islam. Will the PA tolerate conversion to Christianity? What if there is an Islamist shift in the PA’s governmental composition, a rather realistic possibility given the rise of Hamas and other Islamist groups? Is proselytism to be tolerated? The 2015 agreement seems to allow free expression to the Catholic Church without delineating the boundaries. As such, it might serve as a foundation for enhancing protections for Christians in other parts of the Arab world. Finally, one also must consider the general role of religious leaders in ongoing conflicts. Will the 2015 agreement influence the Holy See’s position as an actor in the region? Did it compromise too much at the expense of its relations with Israel, or will this have the opposite effect and bring the Jewish state back to the negotiating table with the Holy See? Indeed, where will church relations with Israel stand after the 2015 agreement given that the two parties are quite close to a financial agreement after years of negotiations? The agreement can serve as a strong signal that a financial arrangement is achievable without the Israelis giving up too much political capital. Israel can also seize on its contours and use them as a blueprint for its ongoing negotiations with the Holy See. *Leonard Hammer lectures at the Rothberg International School, the Hebrew University of Jerusalem, and holds the David and Andrea Stein Visiting Chair on Modern Israel Studies at the Judaic Studies Center, University of Arizona. This article was published by The Middle East Quarterly, Fall 2017, Volume 24, Number 4. Michael Freund, “Pope Francis is aligning himself against Israel,” The Jerusalem Post, May 18, 2015. According to Resolution 181, “[t]he City of Jerusalem shall be established as a corpus separatum under a special international regime and shall be administered by the United Nations.” U.N. General Assembly, res. 181 (II), Nov. 29, 1947. Marshall J. Breger, “Introduction 1,” in Marshall J. Breger (ed. ), The Vatican-Israel Accords: Political, Legal and Theological Contexts (Notre Dame: University of Notre Dame Press, 2004), p. 3; Richard P. Stevens, “The Vatican, the Catholic Church and Jerusalem,” Journal of Palestine Studies, Spring 1981, pp. 110. “On Prayers for Peace in Palestine,” In Multiplicibus curis, no. 8. Pope Pius XII, “On the Holy Places in Palestine,” Redemptoris Nostri, Vatican Archives, Rome, Apr. 15, 1949, no. 9. See, also, Raymond Cohen, Saving the Holy Sepulchre: How Rival Christians Came Together to Rescue their Holiest Shrine (Oxford: Oxford University Press, 2008), p. 86. Stevens, “The Vatican, the Catholic Church and Jerusalem,” p. 110. John Chryssavgis, “Pilgrimage toward Unity,” Ecumenical Patriarch Bartholomew to Jerusalem website, accessed Aug. 8, 2017. Uri Bialer, Cross on the Star of David: The Christian World in Israel’s Foreign Policy, 1948-1967 (Bloomington: Indiana University Press, 2005), p. 3. Pope Paul VI, “The Relation of the Church to Non-Christian Religions,” Nostra Aetate, Vatican Archives, Rome, no. 4, Oct. 28, 1965. Silvio Ferrari and Francesco Margiotta Broglio, “Il Vaticano, la Comunità Europea e lo Stato di Gerusalemme,” Studi Memoria di Mario Condorelli, (3) 1988: 571, 579-80; Ferrari, “The Religious Significance of Jerusalem in the Middle East Peace Process: Some Legal Implications,” Catholic University Law Review, Spring 1996, pp. 733, 738. “Bilateral Relations with the Holy See,” Vatican, Rome, accessed July 10, 2017. Leonard Hammer, “Israel’s Understanding of the Fundamental Agreement with the Holy See 67,” in Breger, ed., The Vatican-Israel Accords, p. 70. Hammer, “Israel’s Understanding,” p. 151. David Ryall, “How Many Divisions?” International Relations, Aug. 1998, p. 32. Looked it up, was confirmed hence the reason why its posted.